Artificial turf can definitely have a factor in improving the real estate value of your property. This means more money in your pocket if you ever decide to sell your home. 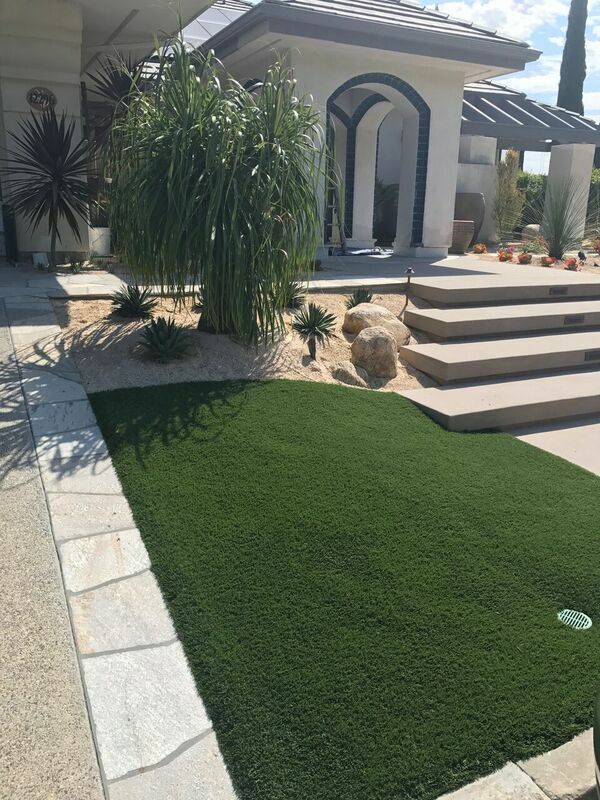 Call the best artificial grass home improvement installation company in San Diego to give your home that much needed upgrade to increase it’s property value. A home’s unique features can make prospective buyer become interested in purchasing the property. One of these features is the beauty of the lawn. Truthfully, a poorly kept natural lawn will make potential buyers turn away from a property. But if the property had artificial turf, this would definitely catch the eye of a potential buyer due to the fact that artificial grass remains beautiful and appealing over the years. Even more so if the home had an artificial turf putting green or a synthetic grass playground. Its attractive green colors will not fade away even in bad weather. And if the buyer is happy with the home’s interior, it would be easier to make a final decision to purchase the property. We have heard useful feedback at our company indicating that the attraction to beautiful artificial lawns made it easier to sell the property to prospective home buyers. Real estate brokers have confirmed that the quality of the landscaping adds value to the property. Research has proved that landscaping could increase the value of a property by as much as 13%. There have been questions about the costs of the artificial turf we sell. While it might seem quite expensive at first, it is much cheaper for you in the long run. The artificial turf we sell is guaranteed to last for as long as 10 to 20 years. Natural grass on the other hand may not last as long and would need constant maintenance by you or a gardener, which would add another expense. The use of synthetic grass eliminates these expenses. You won’t have to bother about expenses such as purchasing equipment and harmful chemicals to maintain your lawn. Your time can be better spent doing other things rather than mowing the lawn, trimming edges, spraying pesticides or reseeding. You will also save lots of money on your water bill. There is a lot of talk about water conservation, stay on the positive side by installing artificial turf. Beautify your home today with lush green artificial grass. It has many applications and is definitely suitable for installation around swimming pools, patios, walkways, etc. It also makes a great and safe playground for children and also for pets, when you have artificial pet turf installed. Rather than bothering yourself about an overgrown natural grass lawn every month, why not get an artificial lawn that keeps its beauty with very little maintenance. If you like playing golf, we have you covered; there are putting greens suitable for backyards where you can practice your best swings. Every homeowner feels proud when their home looks beautiful. Enhance the appearance of your home’s outside space with our artificial grass today.